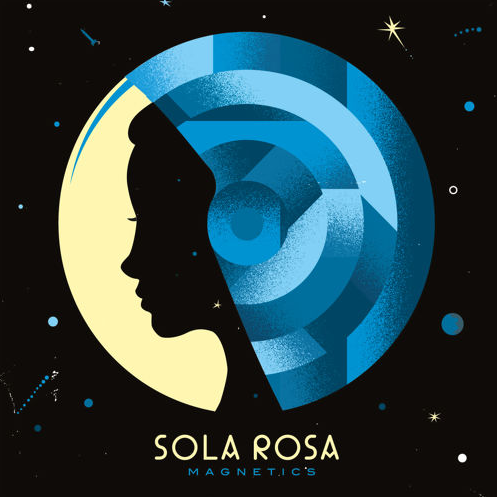 New Zealand soul collective Sola Rosa return with a fresh line-up for their sixth album, ‘Magnetics’, out for UK release on 1st June. Frontman Andrew Spraggon has drawn together the talents of session players Matt Short and Ben White, alongside vocalists Kevin Mark Trail, best known for his work with The Streets, and Cherie Mathieson, whose portfolio includes work with broken-beat producers Mark de Clive Lowe and Dego. The result is a slick collection of tracks that fuse elements of hip-hop, jazz, reggae, latin, neo-soul and funk. Although these five core members have chosen to work on ‘Magnetics’ as a unit, collaborative chemistry is ever at the heart of the Sola Rosa project. The album features a wide range of international talent, from the soulful vocals of Stones Throw producer Georgia Anne Muldrow, to New Zealand resident Noah Slee, who recently supported Jill Scott on tour. Also featured on the LP is Gilles Peterson-approved South Londoner Tawiah, who won the prolific DJ’s ‘Worldwide Award for Best Newcomer’ in 2008 and has worked as a backup singer for the likes of Corinne Bailey Rae, The Guillemots and Mark Ronson, along with featuring on the 2014 album ‘Otherness’ by Kindness. Check here below Right On Time (Featuring Tawiah) and give a bite to the whole Sola Rosa‘s production of Magnetics.